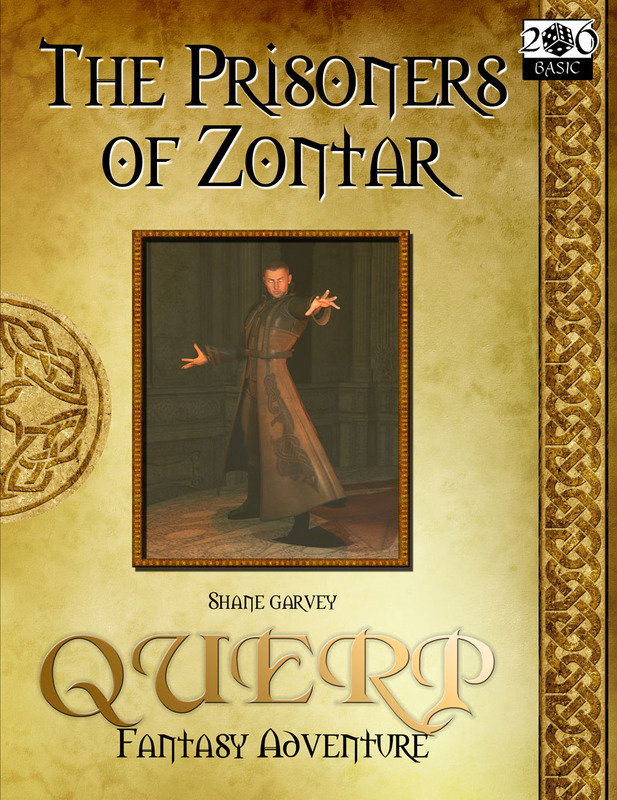 This is the first adventure written for the QUERP rules. Your party of adventurers is captured by the powerful magician - Zontar. For his own sport, he strips the party of everything they own and dumps them in the farthest corner of his dungeon complex. Can they survive one of the greatest challenges of their adventuring career? This adventure comes complete with pre-generated characters and games master downloads which include the illustrations in hand out format, colour map and colour character sheets with all pre-generated characters.